(Natural News) Electricity giant Pacific Gas & Electric is being called to task by a judge for its role in serially setting fires. U.S. District Court Judge William Alsip, who has been tasked with overseeing the firm’s probation for safety violations that brought about felony convictions for a 2010 gas pipeline explosion that killed eight people, minced no words when criticizing the company. His comments came about as a series of massive fires have hit PG&E’s 125,000 miles of power lines during the past two years. The judge suggested the company could face criminal sanctions if it doesn’t cut off electricity to some parts of the grid on days with high winds, trim tree branches, and inspect and fix thousands of miles worth of power lines. He accused the company, which is the biggest utility in the nation, of enriching its shareholders rather than clearing trees that could fall onto power lines and spark fires. He also said they were making “excuses” not to turn off power when the risk of fire is high. PG&E claimed the judge’s suggestions could put lives in danger and cost up to $150 billion to implement. They said power cutoffs would affect medical care and first responders, and they also said there was a lack of qualified tree trimmers. They claim that complying with the order could cost as much as $150 billion and would require a one-year rate hike of at least five times the current rates. 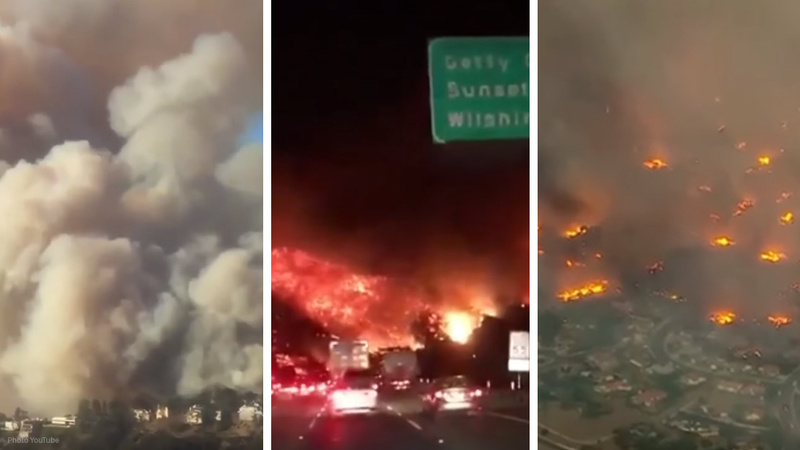 The company recently declared bankruptcy as it faces billions of dollars in liability from the California wildfires of 2017 and 2018. They’re seeking approval from a different judge in that case to get up to $5.5 billion in financing and shell out $130 million worth of bonuses to thousands of employees. The bankruptcy filing won’t put the criminal proceedings on hold, however, so they will still have to comply with Alsup’s orders. PG&E is currently facing hundreds of lawsuits from wildfire victims, including those of a November fire that killed more than 86 people and destroyed 15,000 homes near Paradise, California. The company came under suspicion after reporting power line issues in the area around the same time that the fire broke out. Despite expressing concerns about the costs of complying with the judge’s orders and filing for bankruptcy, PG&E’s board of directors somehow saw fit to give a top executive a $75,000 pay raise. Jesus Soto will see his salary climb to $575,000 despite being recently called to answer for thousands of false records allegedly filed by the firm in its “mark and locate” program. Something is definitely wrong, and it’s the liberals running the state of California into the ground.